Chili Mac n cheese is one of the most liked Italy inspired western casserole dishes which is usually served as a side to lunch or dinner. There are many ways to prepare this casserole dish. In this recipe, this dish is prepared with salsa, green peppers, and chili peppers, and is ready in less than an hour. Preheat the oven to 175 degrees Celsius and lightly grease a baking dish. Combine boiled macaroni with chili, salsa, green pepper and chili powder in a large mixing bowl. Toss to mix well. 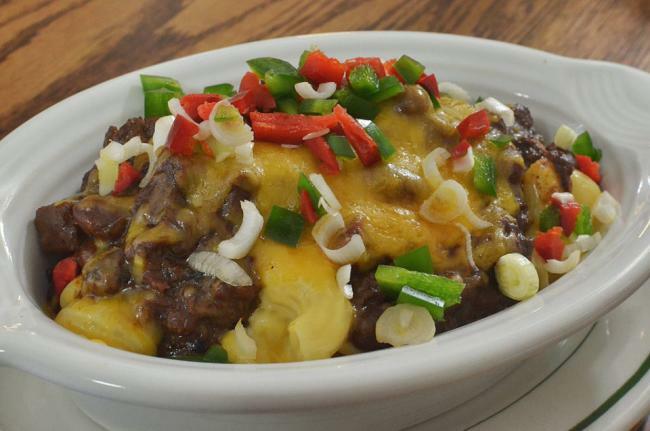 Stir in 1 ½ cups of shredded cheese and toss again to mix well then spoon into prepared baking dish. Top with remaining ½ cup of cheese. Bake in preheated oven at 175 degrees Celsius for 30 to 35 minutes or until cheese is melted and lightly brown at the surface. Bring out of the oven and sprinkle with chopped veggies on top for garnish.